I do what I love: Yes, it’s totally important to do what you love. It makes a world of difference. But it’s not an easy thing to alter per night. 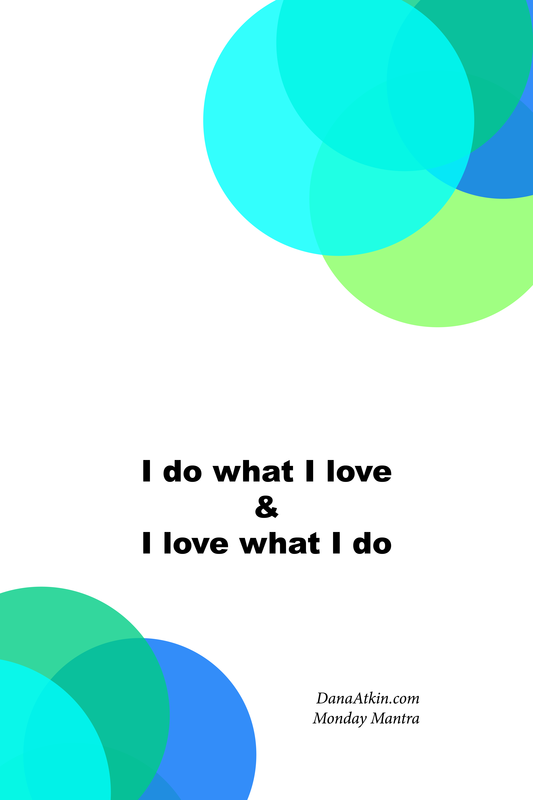 I love what I do: Now this one, you can change more quickly because you can choose to love what you do. By doing this on a regular basis, you’ll start to train your body and mind to always look for the positive. And once you start always looking for the positive, you’ll start finding more and more things to be positive about in your life and eventually, if you keep it up, you’ll come across some opportunities for you to move into doing something that you love AND you’ll love what you do – all in one. As always, save the image to your phone or desktop or print it and pin it somewhere you’ll see it. When you see it, say it and if you know someone who could benefit from this mantra, share it.